Yesterday, I found an interesting sample that I started to analyze… It reached my spam trap attached to an email in Portuguese with the subject: "Venho por meio desta solicitar orçamento dos produtos” ("I hereby request the products budget”). There was one attached ZIP archive: PanilhaOrcamento.zip (SHA1: 3c159f65ba88bb208df30822d2a88b6531e4d0a7) with a VT score of 0/58. The file fvenotify.exe is reported clean on VT and is signed by Avast as their SafeZone Browser. When I re-executed the WSF file, the name changed to "ftp.exe". The PE file fvenotify.exe is added to the Run registry for persistence. I'll check deeper the PE file but did you already detect the same behaviour? Please share! The certificate on hxxps 1591523753.rsc.cdn77[. ]org is really horrible. It contains quite a number of DNS alternative names, including www.secure.nsw.gov.au (which is an Australian counter terrorism site). See below for all of them. This certificate should be revoked ASAP - I don't understand how CA's comply with signing requests for such obviously malicious certificates. I have personally not attempted to ask for revocation (after a bad experience with Thawte about 2 weeks ago). 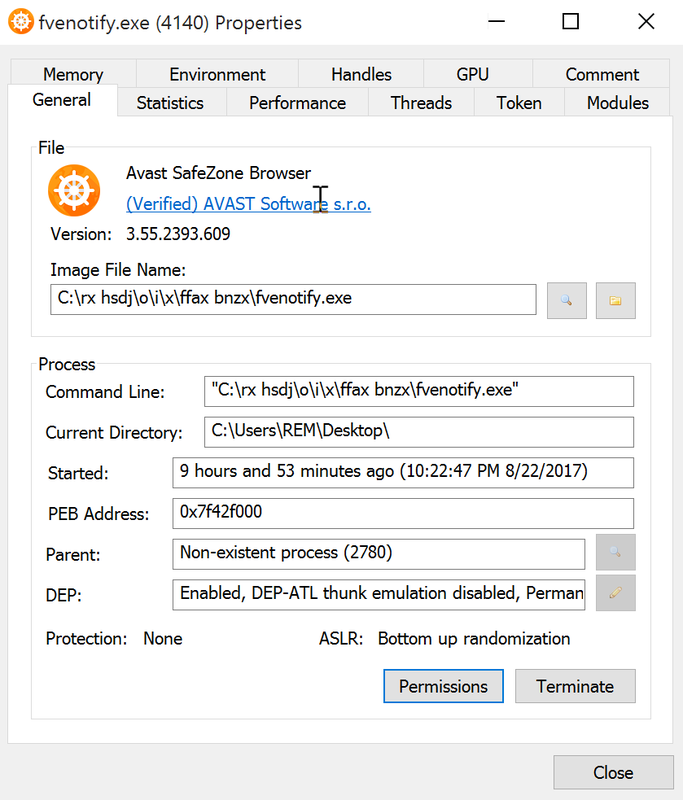 With respect to using Avast's SafeZone Browser "fvenotify.exe": in https://www.virustotal.com/#/file/6d28d5453d0c2ca132ba3b3d7f0a121427090c1eb52f7d2a5c3e4e5440411bc7/community user PayloadSecurity mentions "change_reg_value_operation", "create_reg_key_operation" etcetera. 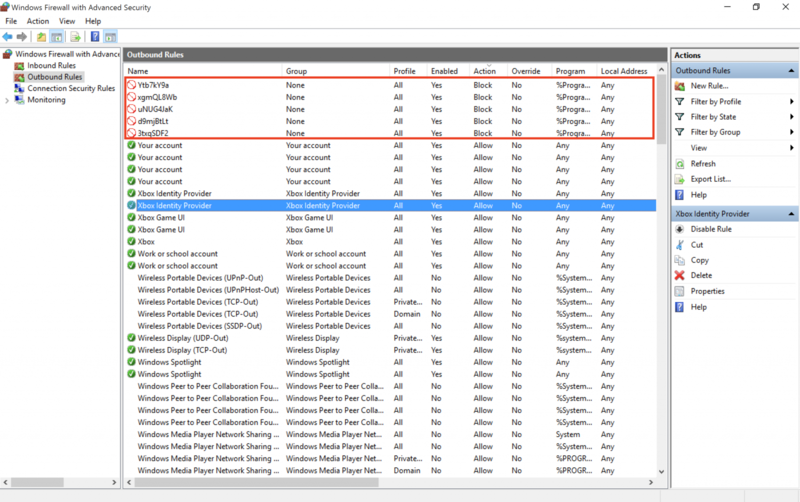 Possibly fvenotify.exe runs as SYSTEM and permits a DLL running in non-admin mode to change system-wide firewall and/or registry settings (if that is the case, enabling privilege escalation)? My conscience convinced me to contact DigiCert and ask them to have the rsc.cdn77.org certificate (s/n 0cc313a63029f149d8efc2436b2eab48) revoked. I hope this happens soon. I also notified www.secure.nsw.gov.au via the form on their website. Update 20170824 19:28 UTC: My apologies, the Digicert certificate htpps certificate I refer to above was apparently NOT acquired by cyber criminals but instead by CDN77.org - AFAIK with consent of the owners of the domain listed in the certificate. Nevertheless, 1591523753.rsc.cdn77.org was either acquired by cyber criminals, or it was compromised. One can only hope that the cyber criminals have not obtained access to the private key associated with the (public key in the) certificate. Furthermore, all domain names in the certificate seem to resolve to 185.59.222. * and 185.59.221. * and they rotate (at least from where I'm looking). This includes www.secure.nsw.gov.au and the malicious site. So one should also hope that CDN77 has their virtual routing tricks properly configured - because your browser cannot distinguish between 1591523753.rsc.cdn77.org (in fact *rsc.cdn77.org) and www.secure.nsw.gov.au, neither based on DNS and the IP-address, nor on the certificate. So neither the certificate, nor DNS, guarantees that you cannot end up on a site LOOKING like www.secure.nsw.gov.au (with a valid certificate) while in fact you're looking at contents on 1591523753.rsc.cdn77.org. IMO these CDN tricks seriously undermine trust in https certificates. My apologies, the Digicert certificate htpps certificate I refer to above was apparently NOT acquired by cyber criminals but instead by CDN77.org - AFAIK with consent of the owners of the domain listed in the certificate. Furthermore, all domain names in the certificate seem to resolve to 185.59.222. * and 185.59.221. * and they rotate (at least from where I'm looking). This includes www.secure.nsw.gov.au and the malicious site. So one should also hope that CDN77 has their virtual routing tricks properly configured - because your browser cannot distinguish between 1591523753.rsc.cdn77.org and www.secure.nsw.gov.au, neither based on DNS and the IP-address, neither on the certificate. Just to clarify, CDN77 is global CDN provider, similar to Cloudflare or Akamai, because of this they do use shared certificate. Thank you very much for your heavy involvement in this case, we appreciate what you are doing in terms of security. - We’ve already suspended this content from our network, as we always do in case of any suspicious content on our network, to protect end users. - CDN77.com is in cooperation with DigiCert company, police and any further security organs that care and protect the users. - We would like to assure you that we care 100% about the security and care not to cause any harm on the network on the global scale. Feel free to contact us with any reports directly on support@cdn77.com and we will take immediate care of it.